Indeed the truth is often far, far stranger than fiction. Do you really believe that the mainstream media and governments are telling you the truth? Even the most conservative among us nowadays accept that everything is not quite as it seems. We know politicians and governments are regularly lying to us and engaging in massive cover-ups. They don’t even try to hide it nearly as much as they once did. So, the question is, why would the government/mainstream media/military industrial complex lie, skew, or manipulate in some way nearly all information that is released to us, but suddenly decide to tell the truth about a meteor coming out of nowhere and striking multiple, disparate locations across the globe? The answer is: they wouldn’t. With our extremely advanced network of satellites and observation stations constantly scanning the skies for meteors and potentially threatening bodies, do you think a object as large as a bus would just ‘slip by’ this grid unnoticed and explode in a fiery mess above fairly large sized cities? The Western media cover-up, promoted by so-called “meteor experts” planted by the military complex, tells of a fantastic meteorite striking Russia’s Ural region, while trying to ignore a second spectacular space disaster in Cuba which occurred just hours later. A pair of massive meteorites, each brighter than the sun, has never before been recorded in the entire history of astral chronologies. Obviously the bus- sized objects that fell from the sky are man-made and not freaks of nature. Skopje, Karpos, Macedonia arrived from google.com on "Latest Worldwide Meteor/Meteorite News: Gnomes of 10 Meteor/Meteorite News 1FEB2011" by searching for 1 February 2011 meteorites. има многу варијабили попат та ако не се опраиме со време посекако ќе си се' почешаме со лезет од немукает додека си играме по тенекињава! Apophis is an asteroid with an slightly offset orbit to that of Earth's. Discovered in June 2004, astronomers have determined that it will make a very close flyby on Friday, April 13th, 2029, where it will pass to within 5 Earth diameters of us. The exact path the asteroid follows on its flyby in 2029 will determine whether it smashes into the Earth seven years later. The fact there is a better chance of being hit by this asteroid than dying in an airplane accident should be motivation enough to give some thought to planning for such a disaster as well as allocating resources to it. Finally, let's address the issue of what would happen if the Earth was hit by this asteroid. A lot depends on where it hits. The ocean would be a great place for this thing to hit, for example. While it would still make a mess (tidal waves, etc), a lot of the energy would be absorbed by the water. NASA estimates the energy from this particular asteroid to be roughly the same as if 65,000 nuclear bombs were dropped on us. What happens next depends on where it hits. но едно е сигурно сите пророштва и на Христијаните и на Хопите па и на Арканите велат дека кога тогаш ќе не здрма здраво некоја карпа! Revelation 8: 6-12 "And the seven angels who had the seven trumpets prepared themselves to sound them. And the first sounded, and there came hail and fire, mixed with blood, and they were thrown down to the earth and a third of the trees were burned up, and all the green grass was burned up. And the second angel sounded, and the sea became blood; and a third of the creatures, which were in the sea died; and a third of the ships were destroyed. And the third angel sounded, and a great star fell from heaven, burning like a torch, and it fell on a third of the rivers and on the springs of waters; and the name of the star is Wormwood; and a third of the waters became wormwood; and many men died from the waters, because they were made bitter. And the fourth angel sounded, and a third of the sun and third of the moon and a third of the stars were smitten, so that a third of them might be darkened and the day might not shine for a third of it, and the night in the same way." Prophecies which should have happened 10 years ago have been put off. We have been given a window of opportunity. Spiritual Love is the answer. True knowledge is beyond words. Comets are a sign of prophecy. Hale-Bopp was the twin Kachina, white and blue. The next one will be red. It is the Purifier. It will stop and observe us. If we are not purified enough it will finish the job for us. The Russian Planetary Defense Center will need a maximum of 7 years to create a system that would protect the Earth against meteors and other space debris. At present, scientists have 24 scenarios to save the planet from Near-Earth Objects. In addition to technology, people should be prepared for meteor disasters as well.A global set of meteor defense measures includes more than 20 variants of dealing with meteoroids, comets and other space objects that pose a potential threat to the Earth. Russia’s space experts and emergency workers believe that a system that guarantees people protection against meteor impacts should be dealt with first, particularly following the meteor strike of several days ago when radars were powerless to help. A whole network of shelters and bunkers should be built to secure protection against meteorites. In addition, a number of satellites will be sent to orbit in the next few years to track dangerous objects flying by. A Voice of Russia correspondent met with Anatoly Zaitsev, director of the Planetary Defense Center. "The satellites should be provided with telescopes. Flying debris cannot always be detected from the Earth because astronomers can observe only the dark side of the sky from the Earth. Reconnaissance satellites are also needed to explore the nature of the debris. These ‘scout rockets’, which will follow the shortest trajectories, will provide data needed to organize the launch of interceptor rockets. The objects that pose a danger to the Earth should be pushed off their trajectories or destroyed. "The Russian-proposed meteor defense system makes it possible to protect the Earth against meteors with a radius of 10 meters, like the one that hit Chelyabinsk, to 100 meters. 100-meter asteroids make up the lion’s share of asteroids orbiting the Earth.A Chelyabinsk school teacher saved her class from the meteor impact by ordering them to take cover under their desks. The shockwave from the meteor strike smashed all windows in the classroom. The teacher, Yulia Karbysheva, sustained numerous cuts but her children escaped unharmed. Even though she had no idea that the fireball they suddenly saw outside was a meteor, Karbysheva knew how to act in case of an explosion. All teachers are trained to act in this way, the school’s deputy director Oksana Cheryomina says. "The teacher must have remembered what she was supposed to do in case of emergency and did it. She must have attended all relevant trainings. On top of that, she demonstrated personal courage." Experts who examined the debris left by the Chelyabinsk meteorite have come to the conclusion that it won’t affect the environment or people’s health, Dmitry Penemanskiy of the Ural Federal University, says. "A chemical test of the recovered debris revealed the presence of meteoritic matter. A search group consisting of university staff has left for Chebarkul again in the hope of finding more fragments. Judging by the fragments recovered so far, the meteorite that crashed in a lake near Chelyabinsk was a chondrite. It poses no threat to the environment or human life but is of great scientific interest. "While scientists are busy studying the meteor debris, locals are after fragments of extraterrestrial stones as well. Pieces of the meteorite have been offered for sale on the Internet. Some cost as much as $15,000. што може може, ама ние ја тераме тро отпојќе теориски, иако без тоа ништо не може да се направи! 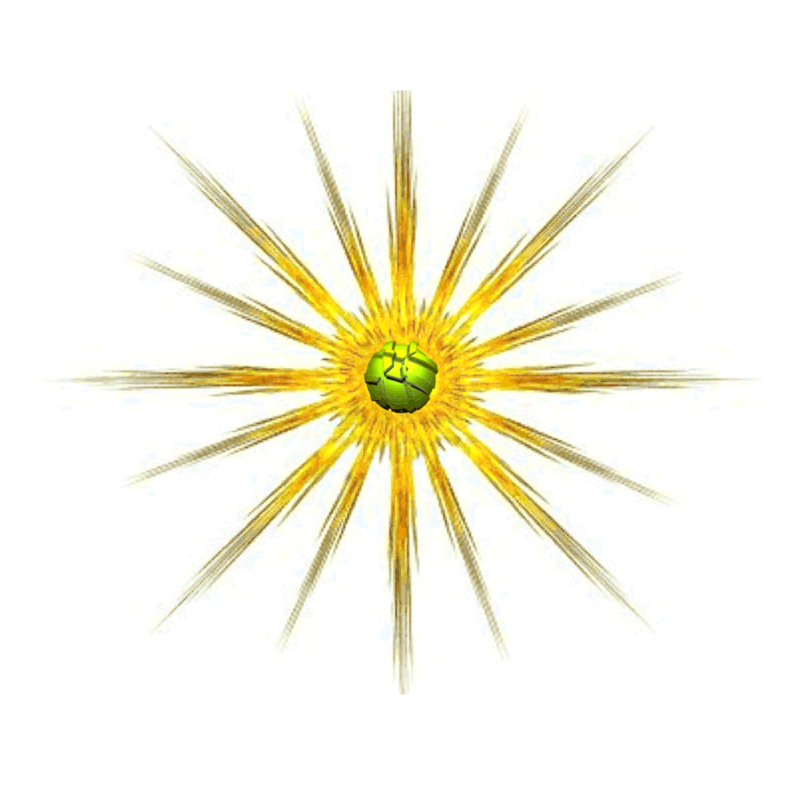 ајде бар се демистифицираат фантазиите и фрустрациите! како и да е, здраво ќе се накркаме од муабетов в иднина! Ова ми изгледа малку преоптимистички за земја со големи проблеми како Русија. а кога точако со време ќе сврти кон сонцето сите комети ќе биднат споредната работа во сценариото! што би рекла Синоличка - Никола поручуе Слободата има цена - се вика Живот,a јас би додал директор на земниов е смртта иако Слободата е дУх кој има власт над неа како стопан и наемник т.е. додека ние се свестиме што воопшто е тоа материја некаде измеѓу решително стои смртта и вели материјата е тесто,духот е квасец,вие сте лебови,а јас сум гостин - и сите ќе ве изедам! Summary: The Hubble Space Telescope crew released an image that shows Comet ISON on track for a potentially spectacular show on Thanksgiving day. NASA released a new composite image of the Comet C/2012 S1 (ISON) which was taken on April 30 by the Hubble Space Telescope as it streaked toward a close encounter with the Earth. Why is this so special? Comet Ison won't actually be that near the Earth but when it nears the sun this comet could actually outshine the moon. Its best display should on November 28 this year, Thanksgiving Day. It could also be spectacular in the northern hemisphere on its return trip to the outer reaches of the Solar System. Or it could just fizzle out. 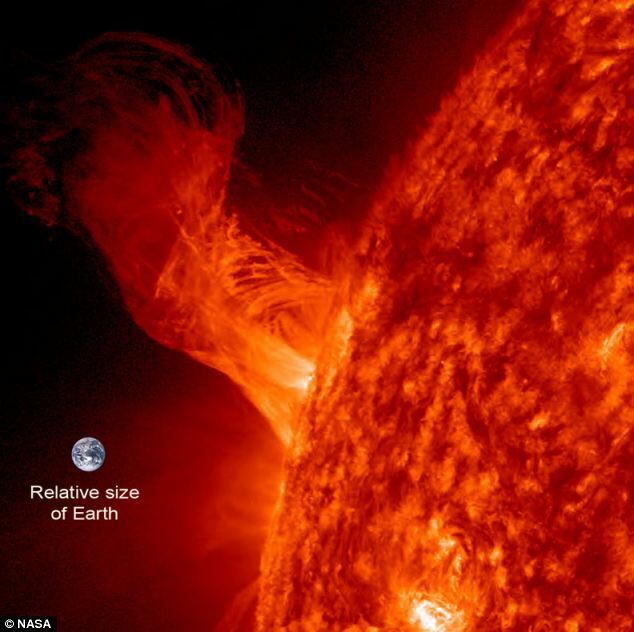 The radiation from the sun could boils its water and pull it apart, a solar flare could rip off its tail, or the sun could just destroy it as it passes by. The nucleus of comet itself is only 3-4 miles in diameter but the dusty head of the comet is about 3,100 miles across. Its dust trail was 186,400 miles long as last reported on June 13, but will increase in size when frozen gases will be released as it approaches the sun. What makes this comet even more remarkable is that it most likely has never been this close to the sun so its matter should be in about the same condition as when it was originally formed - probably at the same time as formation of the solar system. Comet ISON is named after the International Scientific Optical Network, which is "a group of observatories in 10 countries who have organized to detect, monitor, and track objects in space. ISON is managed by the Keldysh Institute of Applied Mathematics, part of the Russian Academy of Sciences," according to NASA. Russian astronomers Vitali Nevski and Artyom Novichonok found the comet in September 2012 when it was 585 million miles from the sun between Jupiter and Saturn. Images captured June 13 with Spitzer's Infrared Array Camera show carbon dioxide steadily "fizzing" away from the so-called "soda-pop comet" at a rate of about 2.2 million pounds (1 million kilograms) a day. Its tail is about 186,400 miles (300,000 kilometers) long in these images. The image on the left shows the tail consisting of fine rocky dust which is caused by the pressure of sunlight as the comet speeds towards the sun. The image on the right shows ISON with the dust removed, and reveals a very different round structure of the comet. The projected route of Comet ISON. On October 17, as noted by the red star, it should be between the orbits of Earth and Mars. Don't think the comet will pass by unnoticed by NASA. Sixteen different devices will be following it every step of the way as shown in this NASA infographic. If you remember Comet Lovejoy in December 2011 across the Southern Hemisphere, then you will know just how bright comet ISON will be. Comet ISON comes at the end of this year and is larger than thought. Comet Lovejoy (pictured in this article) had a nucleus of around 0.5 km. Comet ISON’s nucleus is estimated to be around 5km, or just a bit smaller than Halley’s Comet. This is 10 times the size of Comet Lovejoy, and Lovejoy was one of the brightest comets in many years for the section of the world. 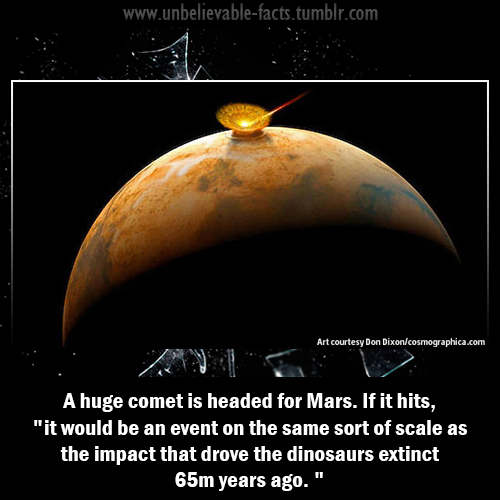 It was dubbed “The Great Christmas Comet of 2011″. Comet ISON may try to rival that of Comet Hyakutake and Hale-Bopp, both in the later 1990s. Most teens today did not see those great comets, but ISON may give them a chance to see something we adults saw then. Comet ISON is between the orbit of Jupiter and Mars, closing in fast. ISON may become brighter than the Full Moon as it nears the Sun at the end of this year. It will remain a bright comet for months to come before and after the passage around the Sun. Astronomers are worried the comet could break-up before coming into the inner solar system. However, Comet Lovejoy was 10 times smaller and survived the trip around the Sun. So this should be a cakewalk for Comet ISON and a treat for observers around the globe.